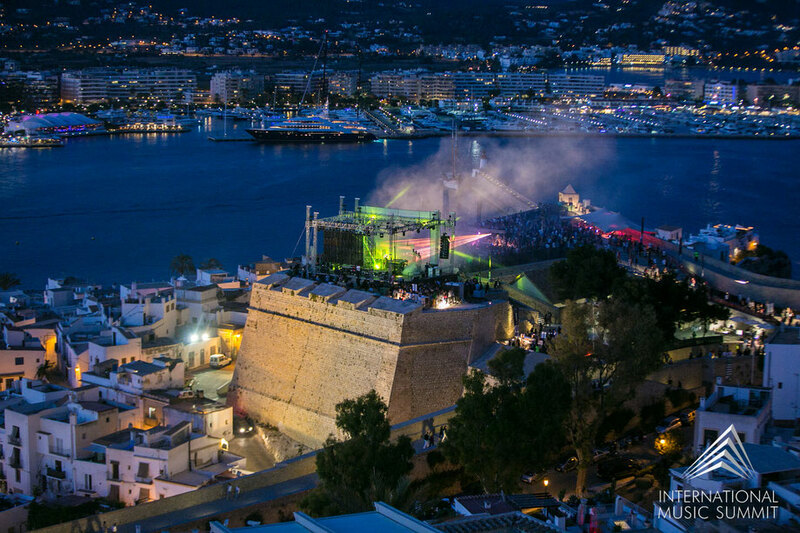 International Music Summit (IMS) recently announced details of its Ibiza Dalt Vila Event. IMS Ibiza is a three-day educational and thought leadership platform on electronic music held annually in the dance music capital of the world. This is a very special year, as 2017 marks the ten-year anniversary of IMS. The event was created by BBC Radio 1 DJ Pete Tong and four industry partners, and has gone on to host IMS events in China (IMS Asia-Pacific), Los Angeles (IMS Engage) and the recent addition of IMS College in Malta. The platform has apparently been described as “the TED of music conferences” and has been responsible for leading initiatives that has resulted in change in the industry including the creation of the AFEM: Association for Electronic Music, the global trade body which promotes, protects and preserves the legacy and future of the genre. In homage to this legacy, for the annual event at the 2,500 year-old fort Dalt Vila, Ibiza’s only UNESCO World Heritage Site, IMS Ibiza has curated a series of back-to-back performances aiming to create a unique show. With many of the artists playing together for the first time, look out for house music legends Kenlou aka Masters At Work’s Louie Vega and Kenny ‘Dope’ Gonzalez performing two sets – one with The Martinez Brothers and the other with Resident Advisor’s Top 100 DJ Poll winner Dixon. 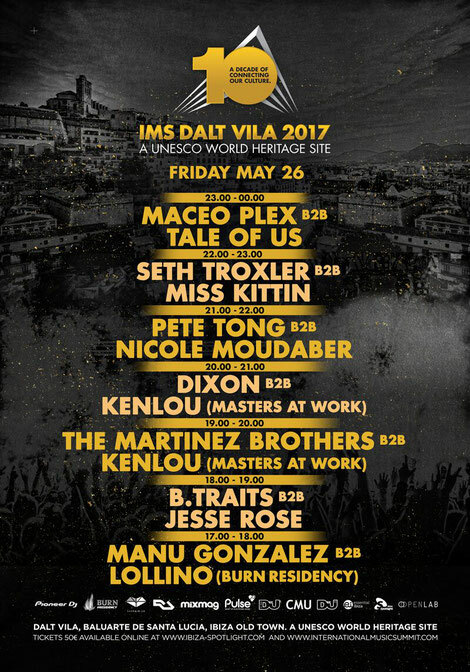 IMS co-founder and BBC Radio 1 DJ Pete Tong plays alongside Nicole Moudaber, B.Traits with Jesse Rose, and to close, Tale of Us perform with Maceo Plex.